Robson Green's Tales from Northumberland is back in 2016. The latest series follows two earlier editions of the programme. 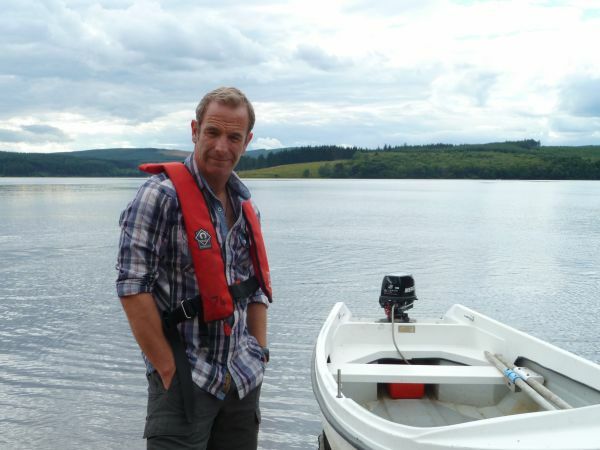 In 2013, Robson Green first presented an eight part TV series in which he journeyed through his home county of Northumberland. Each episode followed Robson as he visited places which inspired him as a child, met some remarkable Northumbrian characters and explored some of the county’s magical landscapes and attractions. During the first series he met Jonty Hall, the schoolboy who pressed the button to fill the largest man-made lake in northern Europe 36 years ago and now works as one of the managers at Northumbrian Water’s Leaplish Waterside Park, while in the second series, Robson joined a couple who call themselves ‘wild gourmets’ as they prepared dinner made purely of ingredients hand-picked from Kielder Forest. The theme of the third series was journeys and Hexham-born Robson, undertook various journeys across the region, from hiking the Pennine Way, to travelling by air to get a bird’s eye view of the region and to following the route of the River Tyne. Kielder’s mountain bike trails featured in one of the episodes. Kielder has some amazing trails including the featured Deadwater Fell trail. As the programme showed this rugged wilderness is MTB heaven. Experience some of the best single-track trails in the UK with breathtaking views. In a later episode, Robson took part in the ringing of Kielder osprey chicks in the forest and discovered the story of the salmon at Kielder Salmon Centre. You too can learn about the fascinating life cycle of the salmon - just drop into the hatchery’s visitor centre in Kielder village and meet the people who carry out the vital conservation work. Or why not visit the volunteers at Kielder Osprey Watch (which begins in May or June, depending on when the birds return) and hear about our iconic birds, while watching the action from the nest through live nestcams. You can also follow the birds’ progress on www.kielderospreys.wordpress.com. Kielder Water & Forest Park is home to the biggest man-made lake in Northern Europe and, at over 250 square miles, the largest working forest in England. The best way to explore Kielder is to start at one of our three main visitor centres, Tower Knowe, Leaplish or Kielder Castle.